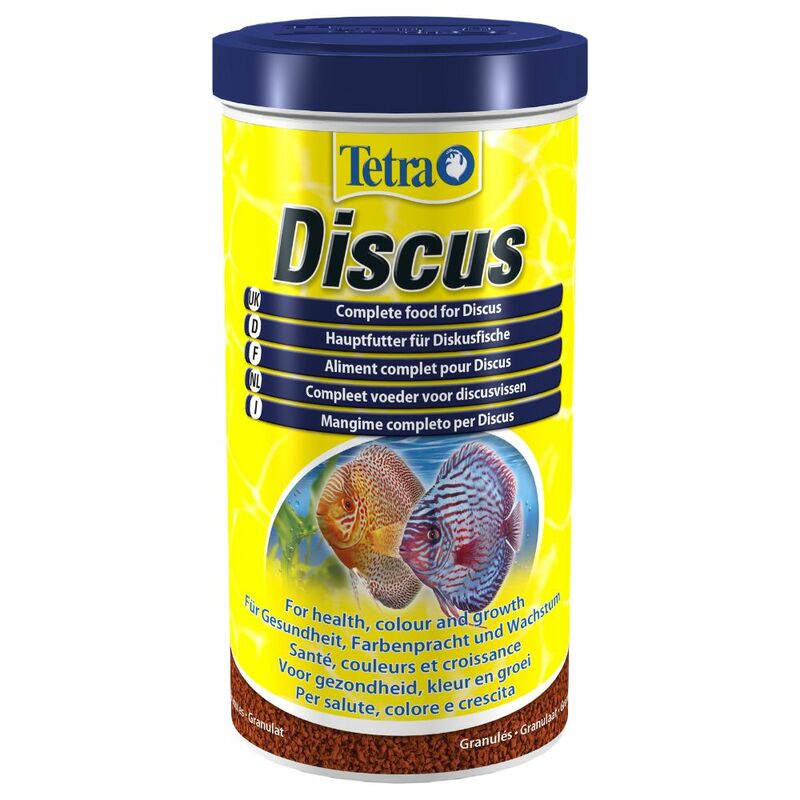 Terta Discus Granules is a complete food specifically adapted to the nutrional requirements of discus fish, providing them with all the vital nutrients they need. This food has added vitamin C, which helps promote healthy growth and boosts the immune system. When keeping discus fish, it is important to feed them a balanced diet tailored to their nutritional needs in order to prevent them developing dietary deficiencies. Tetra Discus Granules contains everything discus fish need in their diet and is also particularly appealing and highly accepted with the shape, size and colour of the granules. The recipe contains all the vital nutrients, such as vitamins and trace elements, in a concentrated and balanced form. Added vitamin C helps strengthen the immune system and also . Unlike frozen food, Tetra Discus has no risk of introducing diseases or parasites into the sensitive environment in your aquarium. Due to the easily digested granules in this tasty complete food you won't have to worry about exceΒ granules causing murky water. The granules also sink slowly to the bottom of your aquarium, making it easier for fish to notice and eat. Tetra Discus Granules at a glance: Main food for discus fish, ideally suited for their nutrional needs with its shape, colour and recipe In a favoured granule form for high acceptance Balanced recipe with all the vital nutrients, vitamins and trace elements Prevents nutritional deficiency symptoms With added stabilised vitamin Cto strengthen the immune system and promote growth Promotes fish's natural colouring No risk of diseases or parasites Appropriate food intake thanks to slow sinking granules Low water pollution.